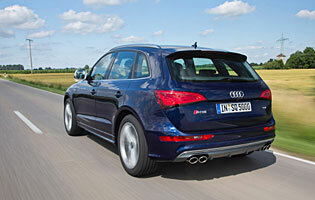 The SQ5 is a milestone car for Audi. It's the first diesel model to feature as part of the firm's performance 'S' sub-brand, and it's also the first car from any of its three SUV ranges to be branded 'S' at all. As such the car has created major waves in the industry since its unveiling. The new model sits over and above all existing Q5 models, using a little-changed version of a large-capacity diesel engine already seen in other Audi models. The engine's 'standard' state of tune has also engendered curiosity. As the performance flagship of the Q5 range, the SQ5 is required to go fast, boast high levels of luxury and ooze prestige. Despite being identical to the engine found in a non-S-branded A6, the SQ5's powerplant certainly provides more than adequate performance. With many modifications having been made to the Q5 platform, both visual and beneath the skin, this is a car that is both subtle and arresting to look at, which fits the Audi S-car brief perfectly. The car's sheer weight means that a petrol engine would have been far too fuel-inefficient in the modern world, leaving diesel and hybrid as the only realistic options. 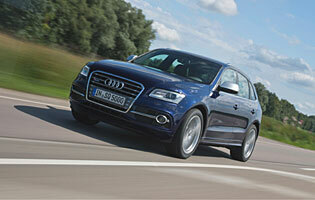 Audi's hybrid technology was not quite ready for the challenge during the SQ5's development, so diesel was selected. It actually suits the car very well, offering impressive refinement with excellent all-round ability. Audi's rivals in the performance SUV sector will increase as time goes on, but the market sector itself is one of several that is performing very well. The firm's trademark high quality of manufacture and instantly recognisable interior space will impress existing Audi owners in particular, but buyers coming from elsewhere will find much to praise as well. 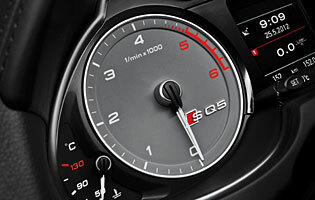 The SQ5's key strengths are in its everyday usability, immense mechanical engineering and its fabulous interior. It's also very technological, with many customisable options and settings; features which will appeal to some more than others but that are particularly well suited to this particular market segment. While there is some loss of prestige with the lack of a powerful petrol engine, the SQ5 makes up for it in important ways.